On sale outside the Louvre’s spanking new exhibition of Islamic art this weekend was a magazine headline to engage any reader. “Les fanatiques,” it read. The fanatics in question were not Texas pastors or Californian video-makers who burn Korans or insult the Prophet Mohamed. “Les fous de dieu” – the “madmen of God” as the French press usually calls them – are not the Midwest Christian Apocalypse-believers who support Israel and claim, if you believe the latest posters on the New York subway, that they are fighting “savages”. Oh no, indeed, the fanatics, crazies and savages in question are the chaps who created the Islamic treasury of golden chalices and crimson rugs and silver vases and marble friezes and bronze lions and stone-paste roosters and vast, brass candlesticks beneath the golden “desert” roof of the Louvre’s latest exhibition hall. Even the sumptuous new catalogue that the museum has published to mark the occasion, while padded with the worst of academe’s latest clichés – “dialogue” used as a verb, and far too much “inclusivity” and “interaction” and “spaces” – admits the importance of these glories “in these times preyed on by obscurantist aspirations and extremist tendencies of every kind”. These words were written by a Muslim – and he certainly wasn’t talking about Mr Breivik or the torturers of Guantanamo and Bagram. For what lies behind the fervour with which we are expected to view these masterpieces of Islamic art in Paris is a simple idea: that Muslims are not all raving, bearded, hand-chopping ambassador-killing head-bangers, but inheritors of one of the world’s greatest cultures, entwined within a tolerant religion, enhanced by learned men (alas, few women) who admitted Jews and Christians into their Islamic society and who produced some of the finest art in history. 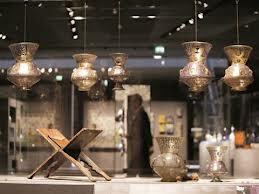 “Oh no, indeed, the fanatics, crazies and savages in question are the chaps who created the Islamic treasury of golden chalices and crimson rugs and silver vases and marble friezes and bronze lions and stone-paste roosters and vast, brass candlesticks beneath the golden “desert” roof of the Louvre’s latest exhibition hall. Even the sumptuous new catalogue that the museum has published to mark the occasion, while padded with the worst of academe’s latest clichés – “dialogue” used as a verb, and far too much “inclusivity” and “interaction” and “spaces” – admits the importance of these glories “in these times preyed on by obscurantist aspirations and extremist tendencies of every kind”. The title of the article is: Islamic artisans constructed exotic non-repeating pattern 500 years before Mathematicians. To get the readers interested let me include the following excerpt from the link I have given above. “The researchers note that the pattern is equivalent to the most famous example of a quasicrystal, discovered in the 1970s by famed mathematician and physicist Roger Penrose, who showed how to construct it by fitting two types of “Penrose tiles” edge to edge according to certain rules. It is a longish thread; I would include just a few of the links that might be interesting. My response: Hold your horses! We haven’t got our house in order yet, after all that looting, plundering and innuendo-ing. Once we’re done killing each other we’d show you what beauty is with or without CNN, and how can you tell something is not brewing right now?